In 1999 Powers stopped writing graffiti and tending bar to dedicate himself to being an artist. 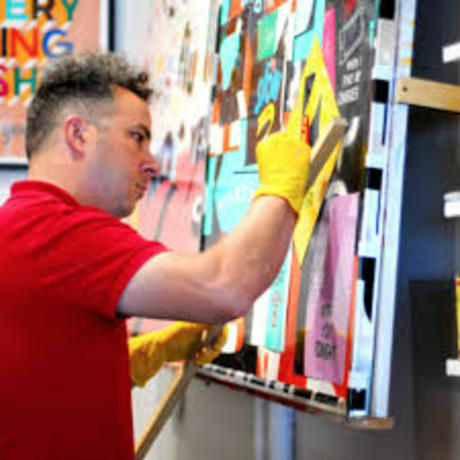 His work has been shown at Luggage Store, The Philadelphia ICA, The Venice and Liverpool Biennials, and repeated appearances at Deitch Projects. As a Fulbright Scholar in 2008 Powers painted a love letter to the streets of Dublin and Belfast, which in turn led to having conversations with communities and translating them into visual communication in 11 cities. He has published 5 books including his newest publication compiling the last 6 years of global public art projects, A Love Letter to the City (Princeton Architectural Press 2014).